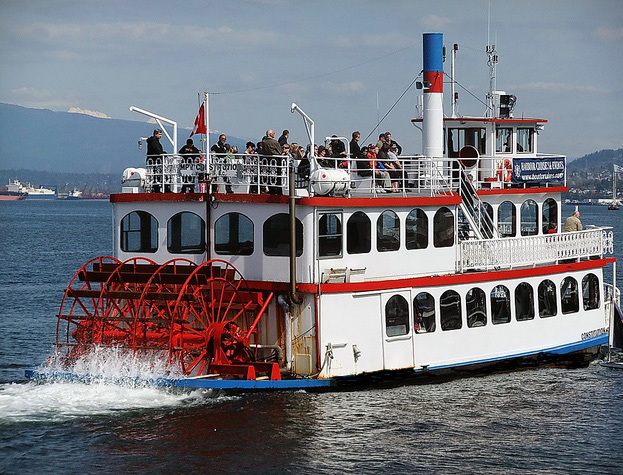 A Hop-On, Hop-Off Sightseeing tour by Westcoast Sightseeing is the perfect way to get a smorgasbord of Vancouver highlights, in a limited amount of time. Plus, you’ll never have to worry about getting lost! How often do you get to travel by horse-drawn carriage? Now imagine enjoying the world-famous Stanley Park in this way! Stanley Park Horse-Drawn Tours are definitely a unique experience and not to be missed. Family-friendly and loved by children. Harbour Cruises has a long and reputable history of providing a variety of lovely cruise experiences. We can’t think of a better way to experience the city than this! The Sea to Sky Gondola is technically in Squamish but we had to add it to our list, for its unparalleled mountain views of British Columbia. You will be glad you made the trip – we promise! Vancouver Lookout is a hidden secret that is right in the heart of downtown. Get to the observation deck just before sunset, for utterly breathtaking views of the city. Afterward, head upstairs to the Top of Vancouver’s rotating restaurant for a nice romantic dinner. Perfect backdrop for date night! Wish to make the most of your time while also visiting some of Vancouver’s Top Attractions? From now until April 30th, take advantage of our VanPass Voucher, which includes a FREE Visa e-Gift Card & an e-voucher for use towards booking tickets to these 5 unique experiences and 15 other Top Attractions!